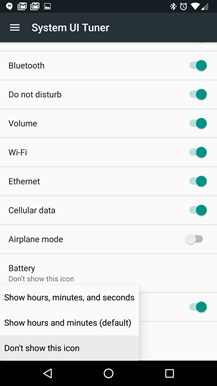 This one isn't exactly straightforward: it shows or hides a rotation icon on the right side of the statusbar. If you've enabled auto-rotate in Quick Settings or elsewhere, the icon doesn't appear, but if you've disabled it, it will show as a portrait-only icon on a phone. 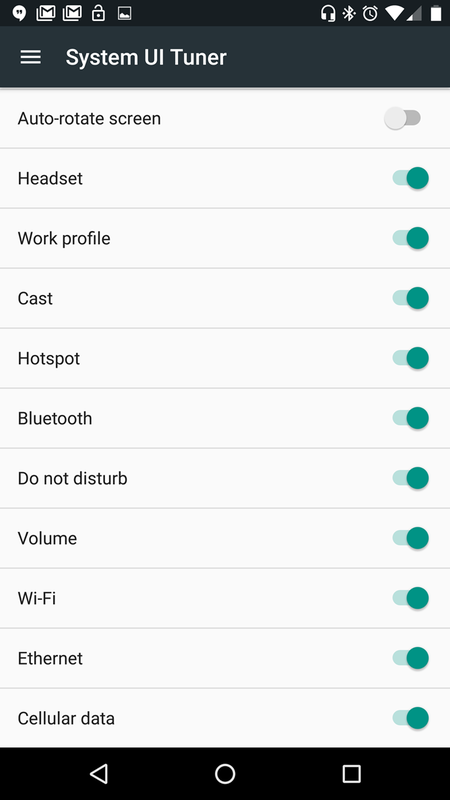 (Apparently tablets will show either a portrait or landscape lock.) 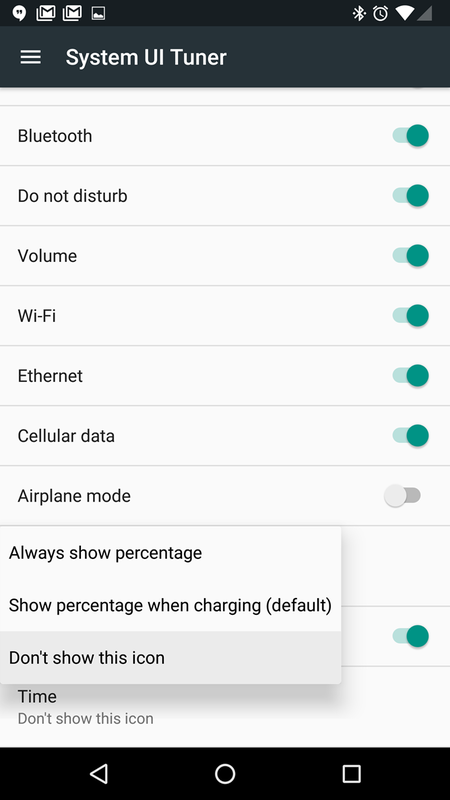 If you leave this System UI Tuner option disabled, it won't appear either way. 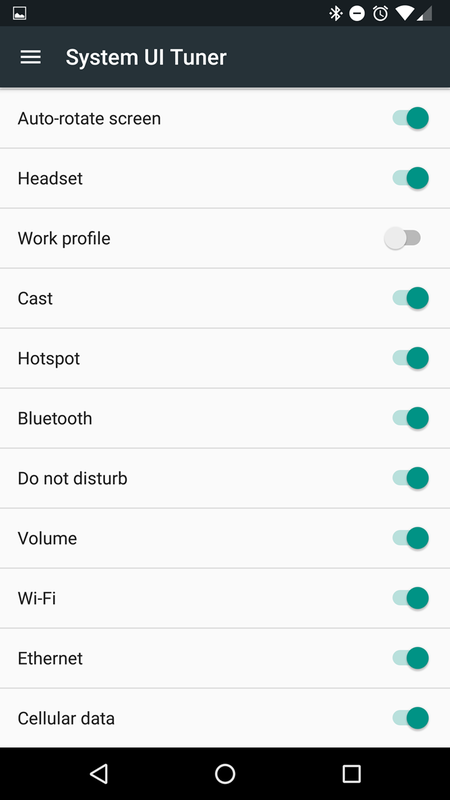 When enabled, a headset icon will appear on the right side of the statusbar if you plug in a stand-alone microphone or a wired mic/headphone combo. 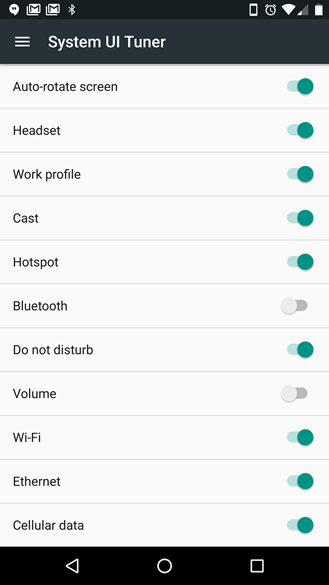 Oddly, this option doesn't seem to apply to a standard Bluetooth headset, which is handled by the Bluetooth icon itself. 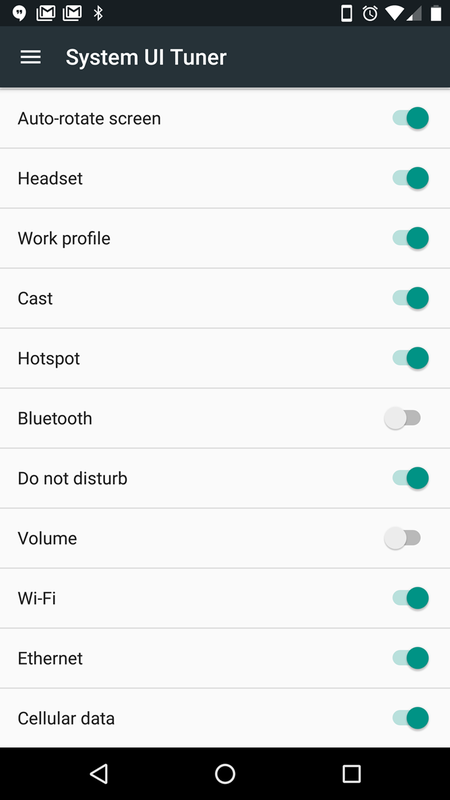 Presumably this enables or disables an icon that shows when your Work security profile is activated by a location proximity. 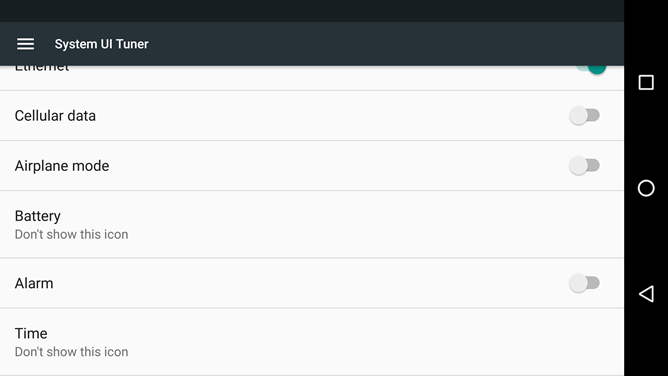 Unfortunately I can't get it to appear or disappear in this first developer preview. This option enables or hides the icons that appear when your device is set to Vibrate or Alarms Only mode. 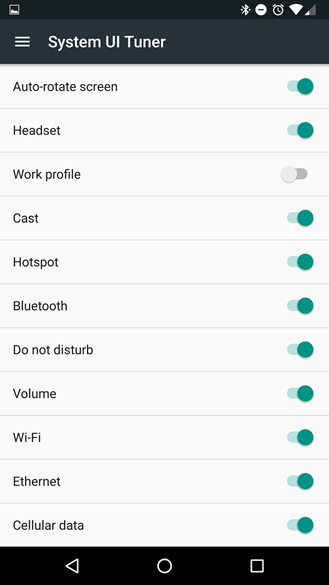 If you have volume enabled it won't appear in either setting. 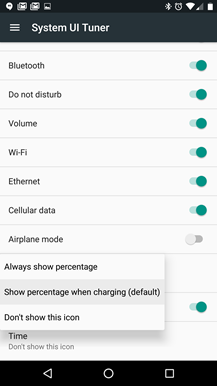 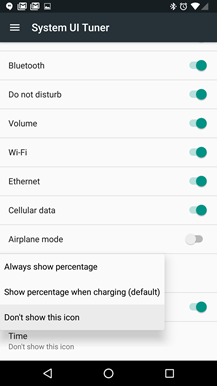 The battery item has three options: show the percentage only when charging (default), always show percentage (my personal favorite), and an option that hides the battery icon entirely. In Android M it was only an on/off toggle. 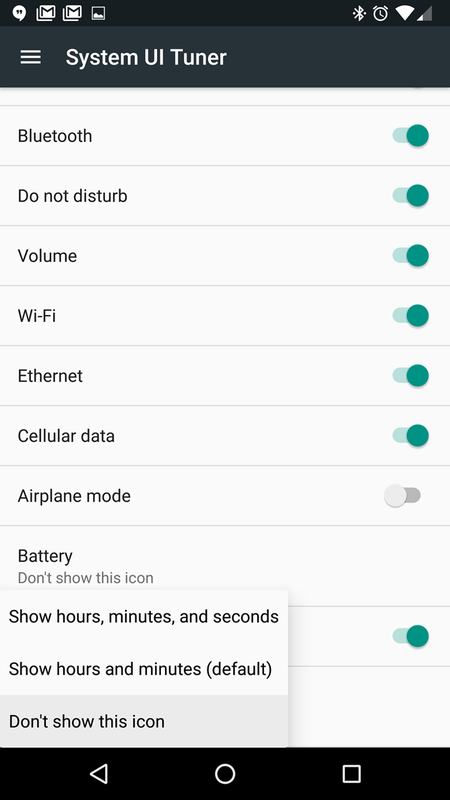 Again, users have three options here: a standard hour and minute clock, an extended version that also shows seconds, and completely hidden. 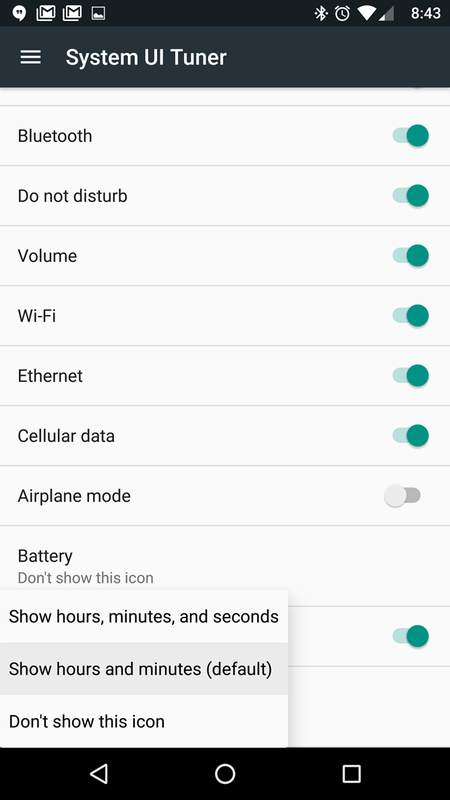 Oddly there's no option for an AM or PM readout, though this appears when you lower the notification bar. 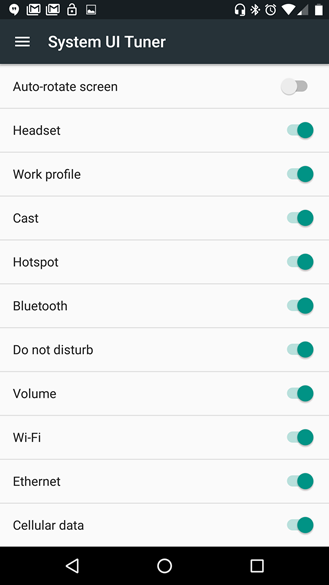 All of these options simply enable or disable their relevant icons, assuming they're active in the first place. Disable them all and you can get a completely clean statusbar... if you want. Combine these options with the per-app notification settings in the Apps portion of the Settings menu, and Android N will let you make your statusbar and notifications look more or less however you want them to.